Individuals looking to get healthy while enjoying the sunshine often turn to gardening and lawn care. Lawns come with almost any property, thus they must be tended, and many individuals choose to incorporate one or more gardens into their landscape. In addition to providing access to sunlight and exercise, a garden provides a family with gorgeous flowers, delicious herbs or mouth-watering vegetables and fruits. Certain tools help to make the task of keeping up with the lawn and/or garden easier. 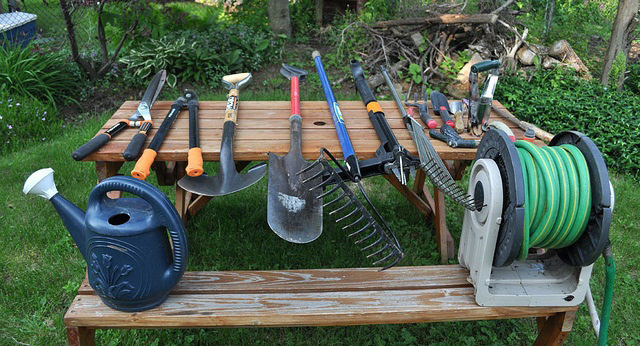 Which tools are needed for the average property owner and/or gardener? This is a question many individuals have, as they don’t want a shed full of items they don’t want or need once they get into the hobby. Specific tools should be found in every shed or workshop, and these will be discussed in the following paragraphs. One thing to keep in mind when selecting any tool is quality is of importance. Well-made tools help to prevent injuries that many people are at risk of. This includes scratched hands, strained backs and more. Don’t skimp when it comes to outdoor tools, as individuals will only regret it in the long run. Every lawn, regardless of how big or small it is, must be cut regularly. A failure to do so will lead to the lawn overtaking the property and may encourage small animals to take up residence there. With numerous types of lawn mowers to choose from, property owners often wonder which type they should purchase. Several factors play a role in this, thus it’s best to understand the benefits and drawbacks of each style. 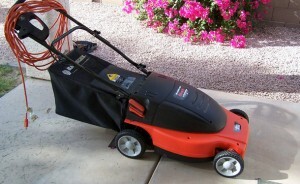 This type of lawn mower is inexpensive to run and is lighter than its gas counterparts. One drawback to choosing this model is it won’t provide the power seen with gas versions. In addition, the homeowner must ensure that he or she has enough electrical cord to mow the entire lawn or purchase new cords for this purpose. This can add to the cost of the machine. Finally, care must be taken to ensure the cords aren’t run over during the mowing process and that they don’t become disconnected as the yard is mowed. Constantly having to replace cords or plug them back in can be very frustrating. 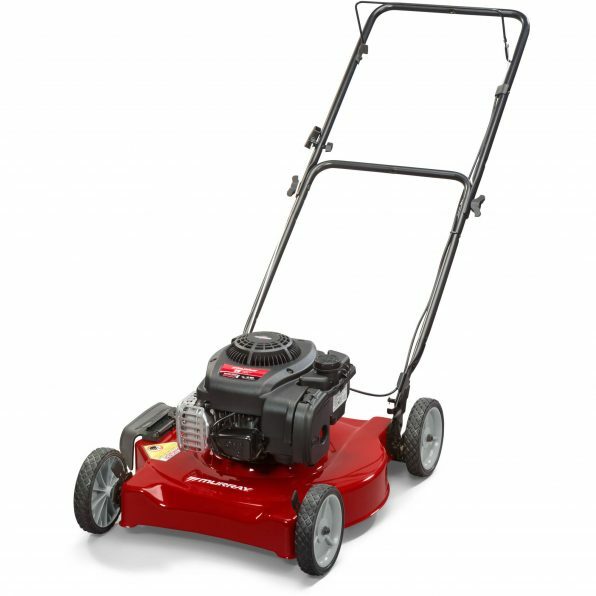 Property owners with small to medium yards tend to fare best with this type of mower. Another option when it comes to mowers is cordless versions. These units come with a battery, allowing the homeowner to eliminate the cords that must be taken with the mower. One thing to consider when purchasing a mower of this type is the amount of time required to mow the yard. Ensure it is enough to finish the entire yard without needing to recharge the battery or purchase a second battery to allow for the entire yard to be cared for in one session. Lawnmowers that run on gas allow for more endurance and power, thus they are a better choice for those with a large yard. They will be heavier than the electric counterparts, but are able to cut more grass at a time. Maneuverability can be an issue with some models, but many units are now self-propelled, and this makes it easier to get those difficult portions of the lawn. 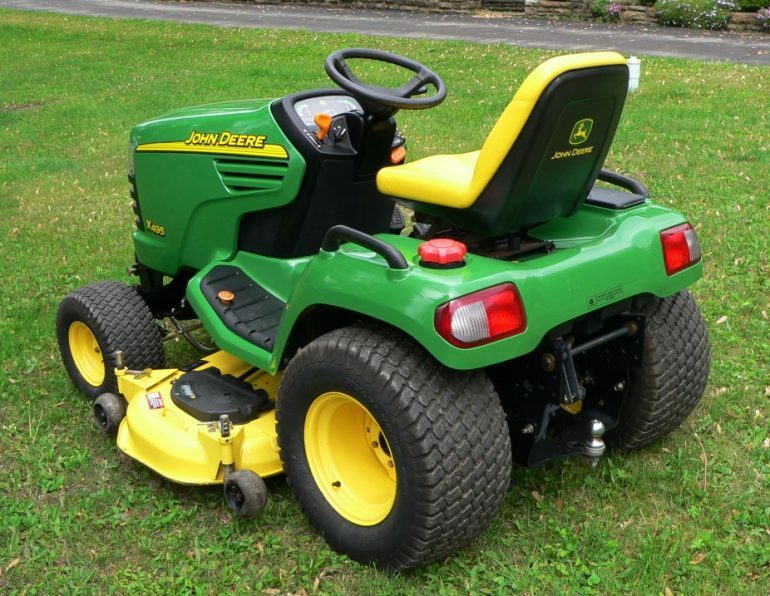 A ride-on mower is ideal for those who have a great deal of grass to cut. These gas-powered units handle acres of land in a short period of time, but they do cost more at the time of purchase and are more expensive to maintain. Consider the amount of time that is currently being spent to mow the lawn, however, and many owners will find purchasing a machine of this type makes a lot of sense. 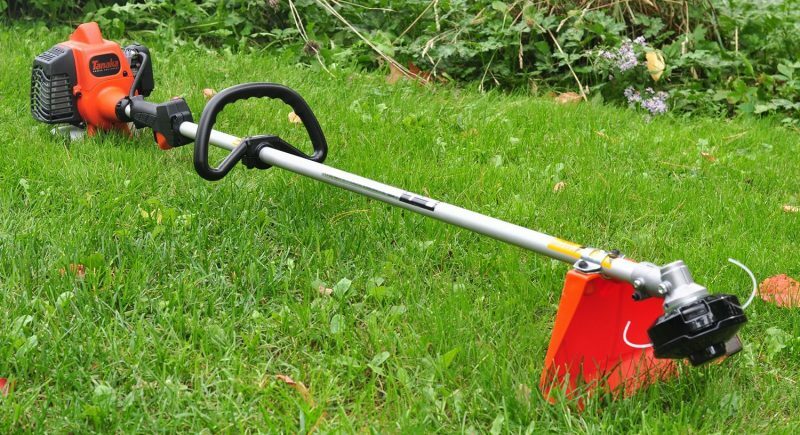 Often referred to as weed whackers or weed eaters, grass trimmers help to tidy up a lawn in a short period of time. Certain areas cannot be reached with a lawn mower and the string trimmer takes care of these places. People find them to be of great use around walls, fences and along the edges of the yard. Available in gas, electric and battery operated versions, the device makes use of a plastic line that rotates at high speed when in use. Electric models tend to be inexpensive and they are very quiet, of concern in some neighborhoods. Gas-powered versions, in contrast, are noisier, yet they provide more power, and there is no need for a cord, charger or outlet. Try to find a model that accepts preloaded cartridges to make changing the string easier. Individuals find those versions with the power unit at the top of the device are better balanced and easy to use. Cutting swaths for these units range from six to ten inches for units that run without a cord, eight to 15 inches for electric models that use a cord and 15 to 18 inches when a gas-powered unit is selected. Owning a leaf blower makes leaf collection a much easier task. This device comes in both electric and gas-powered versions, as well as wheeled, backpack and handheld styles. For those with a large lawn, the wheeled and backpack versions tend to be preferred. Many homeowners opt to use a rake to collect leaves in the lawn, yet the blower makes it easy to remove any under shrubs and in other hard to reach places. Shovels may be used for a variety of purposes. Many individuals confuse a shovel and a spade, yet they are two different tools. 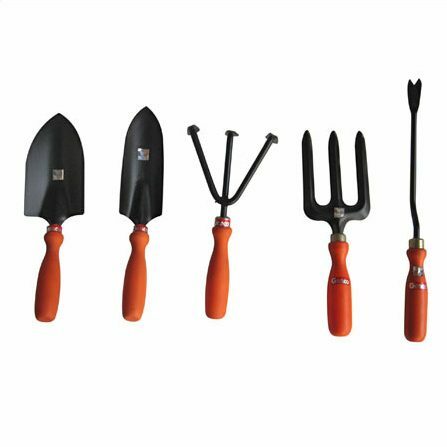 Spades are useful in the planting and transplanting and planting of vegetation. In addition, they are of help in turf removal and the edging of one or more sections of lawn. Spades feature a flat or gently curved blade. Shovels, in contrast, come in many forms. D-handled shovels help in the digging of trenches. Choose a long-handled shovel by its weight, as a lighter shovel makes it easier to dig in a chosen area. Round-point shovels move fine-textured materials with ease and in large quantities. Use this type of shovel when dealing with non-fibrous mulches, sand and/or soil. Rakes come in many sizes, shapes and styles. Knowing which rake to use for any given job is half the battle. The other half is understanding which tool is best for the user’s unique needs. Turn to a bow rake when a patch of land needs to be leveled. It may be used with gravel, sand, mulch or dirt, but is too heavy to be used for large jobs, such as raking leaves. 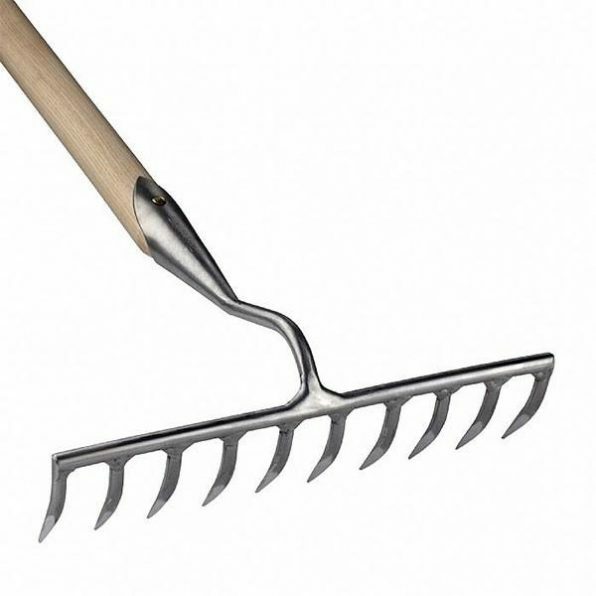 This type of rake comes with short, thick metal tines, and they are spaced farther apart than those on a leaf rake. Garden rakes come with a steel head and are of great help when a gardener goes to prepare a small section of soil for planting. 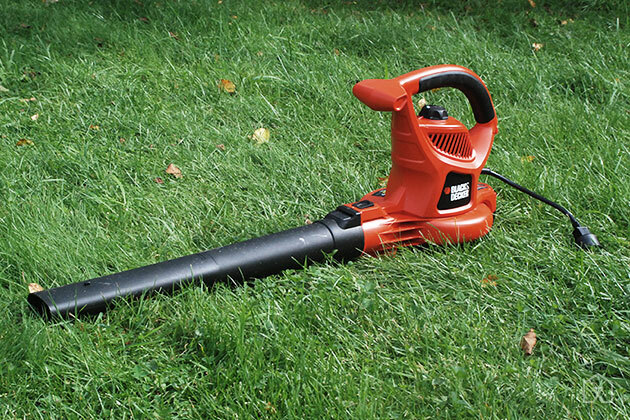 It may also be used to remove any dead grass found in the lawn or to press sown seeds into the dirt. 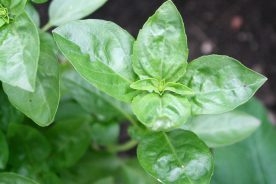 Flat-head versions tend to work best when the soil needs to be leveled, but many gardeners find the bow-head types are easier to maneuver. Which purchase is made is usually a matter of personal preference. Landscape rakes typically come with an 36-inch aluminum head which is attached to a wood or aluminum shaft. These rakes come in handy when debris needs to be removed from prepared soil. In addition, they are useful for leveling the soil before a new lawn is planted. 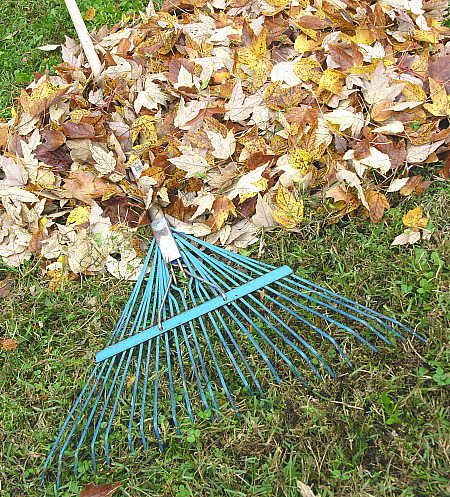 Lawn-and-leaf rakes make collecting certain yard waste easier, including leaves and clippings. Furthermore, the rake is helpful when mulch or other ground-covering materials are to be spread in planting beds. Many gardeners prefer a lawn-and-leaf rake made of bamboo, as it is lightweight and easy to use. These rakes, however, will only last for a few seasons before they need to be replaced. For this reason, gardeners often opt to purchase one made of plastic or steel, as either type tends to be more durable than their bamboo counterparts. Plastic rakes are of most help when moving large piles of leaves, especially when the leaves are wet. Metal holds up the longest, but bamboo is the ideal choice when leaves need to be removed from a bed or groundcover. Shrub rakes are for those people with a great deal of shrubbery in their yard. They look like a lawn and leaf rake, yet the fan of tines is smaller. 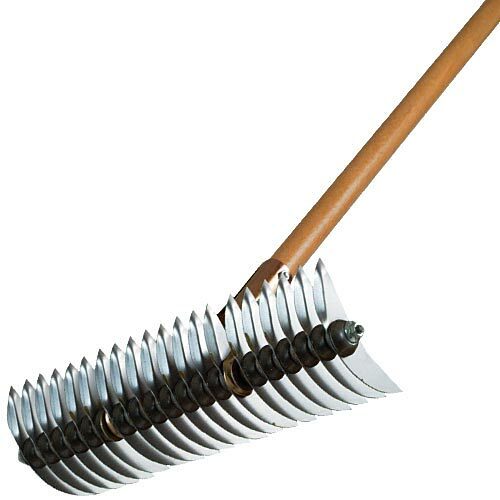 Getting between shrubs, next to fences and in small areas in the yard that are hard to access becomes easier when this type of rake is used. Thatching rakes allow a garden to remove thatch from their yard without worry about damage to the turf. The rake head angle controls the depth at which the tines penetrate the turf. Certain sections of grass, such as those around the edge of a flower bed, need to be cut by hand. 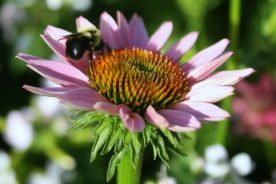 Using a string trimmer or mower in the area could lead to damage to the flowers. This is when gardeners prefer to pull out their grass shears to remove the unwanted vegetation. Although the process of doing so can be time consuming, gardeners find it worth it in the end when their prized vegetation isn’t harmed. Pruning shears work best on branches up to 1/2 inch in diameter. In some cases, they may be referred to as hand pruners. Lopping shears are needed for those branches between 1/2 and 1-1/2 inches in diameter. When choosing loping shears, be sure to look for one that features blades that are sharp and thick and have a good connection between them. When cutting branches overhead, the last thing a person wants is to have the blades detach and one come falling down on them. Wood or fiberglass handles are preferred by most gardeners. 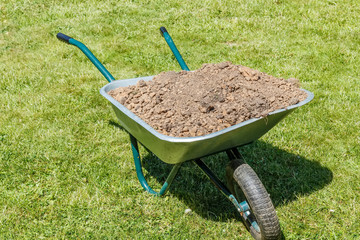 Wagons, wheelbarrows and/or garden carts are useful for a variety of projects. They carry everything from fertilizer to hand tools to the appropriate location and reduce the strain on the gardener. Each has its own benefits that should be taken into account when choosing one for the home. Regardless of which option is selected, one thing to pay attention to is the tire. Pneumatic tires have air in them and may be pumped up when the pressure is low. As a result, they offer more shock absorption than their non-pneumatic counterparts, but a person runs the risk of having a flat tire. Non-pneumatic tires, in contrast, offer less shock absorption, yet are made completely of rubber, thus they won’t go flat. A third option is being offered in the form of semi-pneumatic tires, which combine the best of both pneumatic and non-pneumatic tires. Wheelbarrows require that they be lifted by the handles before they can be moved, yet they can be overturned to dump the contents. Steel models can carry more weight, but plastic models are designed for lighter loads. Bear in mind that a steel wheelbarrow must be properly cared for to prevent rust. Wagons are best for lighter loads. The one drawback is they cannot be dumped in many cases. The reason they are preferred by some, however, is they can be pulled by the handle, as opposed to lifting handles to move the load. Sprayers serve several purposes in a landscape. A gardener uses the sprayer to dispense oil solutions or insecticidal soaps, and many styles may be selected from. Select from either a backpack or canister style, choose the size of the tank and determine which nozzle is appropriate for the application. Different nozzles allow for different application patterns and rates. Digging forks become of great help when a compost pile needs to be turned or perennials are to be lifted and divided. Don’t confuse a digging fork with a pitchfork. The digging fork has foot rests and four square tines and is more durable for heavy duty tasks that must be carried out. Certain weeds work their way down deep into the soil and removing them may appear to be an impossible task. Grab a dandelion digger and take them out with ease. The long taproot makes them perfect for removing not only dandelions, but also Queen Anne’s lace and plantains, among other unwanted species. Grape or grubbing hoes feature a wide, heavy blade and ease the process of removing turf. Although this tool is very low-tech, it is extremely efficient when used for this purpose. Hand rakes look much like a shrub or bow rake, yet are the size of a trowel. In areas where a large rake cannot be used or would do damage to landscape elements, this rake may be used. The short handle allows the user to have more control over what is removed and what stays, but it does require the person get down on his hands or knees. Hand pruners make it easy to remove any unwanted or dead branches from shrubs and trees, if the branches are small. Bypass pruners are great for this purpose, but need to have comfortable grips and blades that operate smoothly. Many consider a garden scoop to be one of the most versatile tools on the market today. Similar to a spoon in appearance, the tool features a serrated edge and pointed tip that makes it easy to slice through roots, break up clay soil that is rocky and hard, and cut into soil that has become compacted. When the tool is flipped over, it makes the perfect seed furrow. Trowels come with a scoop-shaped pointed metal blade attached to a handle. This tool breaks up earth, mixes in additives like fertilizer, digs small hole and helps in the transplanting of plants to pots. Weeders feature a forked steel head connected to a short, hardwood handle. This tool helps to pry unwanted weeds from the turf. The landscape is likely full of branches, thorns, poisonous plants and chemicals. For this reason, every gardener needs a good pair of work gloves, one that will protect the hands regardless of what they encounter. Cotton gloves remain the preferred choice of many, as they are inexpensive and many come with rubberized grips. They do tend to wear out in a short period of time and will soak up water any time they come into contact with it. Synthetic or leather gloves should be the preferred choice, thanks to their increased ability to protect the hands and their durability. People often overlook the various types of hoses currently available. They purchase the traditional hose that they grew up with, never realizing there are numerous choices now offered. 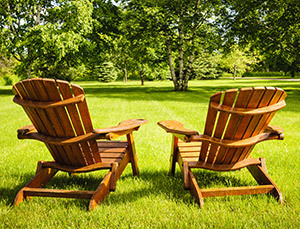 Take the time to compare the different options, as buying multiple versions can make lawn care an easier and less time-consuming task. Before making a purchase, measure from the outdoor tap to the furthest part of the yard. This ensures you’ll have water where you need it and a second hose purchase won’t be required. One thing to keep in mind is rubber versions tend to be more durable than those made with vinyl. Furthermore, try to purchase a hose with brass couplings, as opposed to those that are plastic, as brass holds up longer. 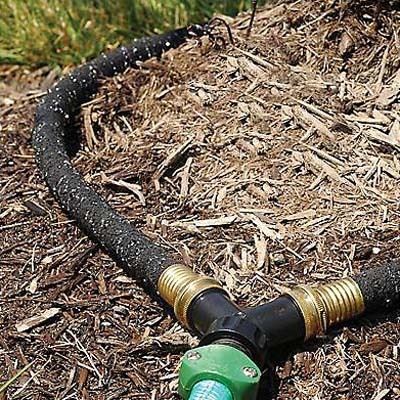 A hose with nozzle allows you to transport water from one portion of the yard to another, which is of great concern when large quantities are needed. Eliminate the buckets and watering pails when this product is purchased, as the nozzle allows you to control when and where the water goes. Some individuals prefer a rain wand to a nozzle, however, thus both options should be considered. Most rain wands come with different settings for different purposes, and the same is true of many nozzles. A soaker or drip hose is good for those areas in the yard that need additional water. This may be a portion of the yard that gets direct sunlight for the majority of the day, thus needs more water than shaded portions of the landscape. 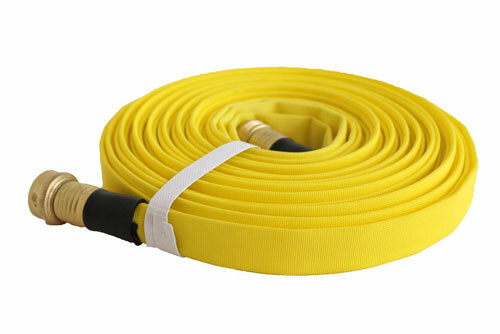 Furthermore, these hoses are good for providing a slow and steady supply to areas of a vegetable garden or for a flower garden filled with species that require a great deal of hydration. Small properties typically don’t have a lot of storage space. In these situations, a person may wish to buy a flat hose. The hose remains flat until it is connected to a water source and, as the water flows through the hose, it expands. When the job is done, it rolls back up, so very little storage space is required. Other tools may also be needed, depending on the property or garden to be cared for. Again, it is best to spend extra money to get a high quality tool, one that will hold up over time. Inexpensive tools that aren’t well crafted can lead to injury, and this is something no person wants, as it limits the amount of time they can spend outdoors. Don’t feel the need to rush out and purchase every item today. Although they are of great help, save up the money needed to buy the best tools possible. As your skills progress, you may find you want to purchase the other tools. Before doing so, see if they can be borrowed from a friend, family member or neighbor. Taking this extra step allows you to see if they will do the job you wish them to. 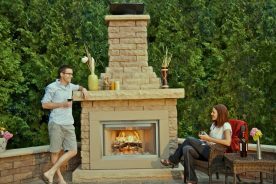 In addition, it’s better to try a tool in the yard to see what type you wish to purchase and what additional features you may want and need. Gardening and lawn care are both enjoyable activities made easier by owning the right tools and equipment. Start with these ten basics and expand over time. You won’t regret the money you spend when doing so, as the tools will give you pleasure for some time to come.